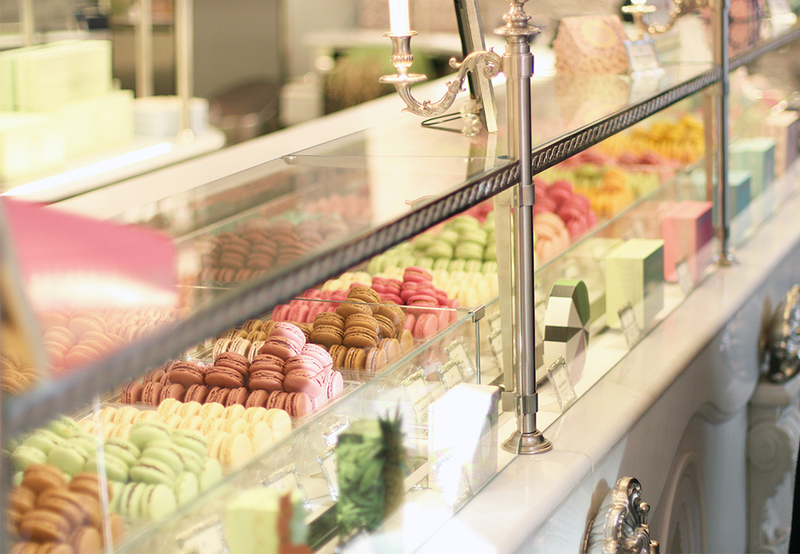 Macarons are one of my favorite treats in Dallas and I happen to have two friends who each have macaron businesses in Dallas, so of course, I had to do extensive macaron research in Paris! When Stephen came to visit me in Paris, I enlisted his help in taste tasting 6 flavors from Ladurée and he was happy to oblige! There are a TON of flavors to choose from, so I recommend selecting your own because some flavors are strange (black licorice- no thanks). There are multiple locations in Paris, with the Champs Elysées location being the most famous (and most crowded), so I would avoid that shop in particular. I visited a shop near my apartment and barely had a line, so I didn't feel rushed at all while selecting my flavors. One of my favorite things about Ladurée is that you also get to choose your box; I chose pink, of course! I personally like the fruity flavors because they're always a safe bet; vanilla was light and delicious, salted caramel was one of my favorites, but....rose tasted like perfume. Sad to say, but I wasn't a fan. I probably should have chosen another flavor, but it looked so cute that I was fooled into selecting it. haha now I know! At almost 3 euros each, these macs are an expensive treat, but I saved the box, so that counts as a souvenir too, right?